Writers of all stripes should take note of the two blogging tools that shipped this week. First up is Open Live Writer, the open source version of Microsoft's free blog post writing tool. Beloved by everyone who didn't mind that it looked like MS Word with its ribbon toolbars, Live Writer was a free post writing tool that worked with many blogging platforms, including WordPress, Blogger, and Typepad. It didn't support Medium or some of the latest platforms, but that was mainly because Microsoft abandoned development in 2012. But rather than see it die, the app was revived earlier this year under the leadership of Scott Hanselman, who announced the launch of Open Live Writer today. You can find news coverage at Ars Technica, Liliputing, and Teleread. The app is missing a few features, including spellcheck, and like any first release it is still buggy (plugins are broken). But if you want to try it, you can find the app on Openlivewriter.org and the code on GitHub. And from what I can see, it's Windows-only. In related news, Automattic (the tech company behind WordPress) has released a Windows app which bloggers can use to manage their WordPress.com blogs and self-hosted blogs. Bloggers have long had WordPress apps for Android and iOS, but it wasn't until earlier this year that Automattic released a desktop app for OSX, and now one for Windows. I've heard like the OSX app this is a less than complete app which is missing some features found in the more mature mobile apps; it can't manage comments, for example. But I am still looking for firsthand reports which can confirm that claim, so you wouldn't take it is fact. Edit: Teleread reports that it is a work in progress. You can find the WordPress OSX and Windows apps at Desktop.Wordpress.com. I, for one, plan to abstain. I have a general dislike for buggy first-gen apps, and a low opinion of Automattic, who never gets even simple things like plugins right until the third or fourth release (don't get me started on te WP Android app). 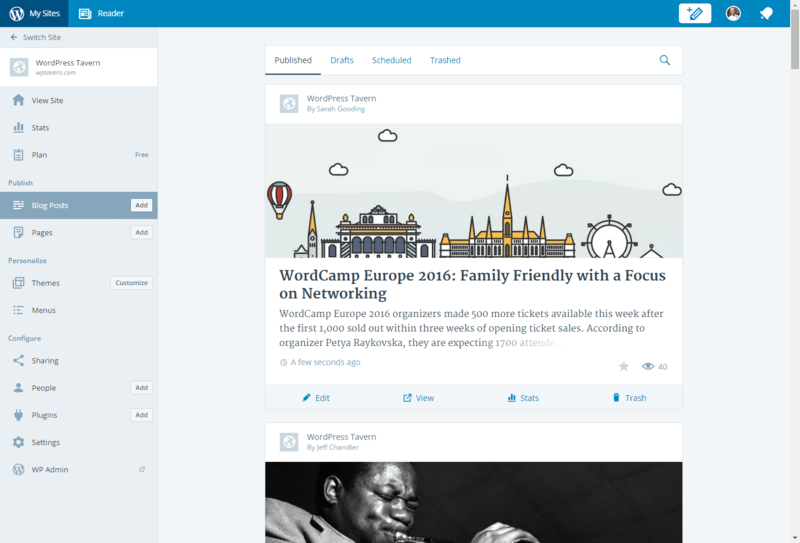 Plus I am generally happy with the WordPress browser interface. That said, I plan to play around with Open Live Writer. I still don't like the interface, but I need an offline tool for writing posts. I currently use Wordpad, and that simply doesn't cut it. Just a Linux laptop and a Chromebook here, so guess can’t try the new WordPress app for the time being. Though not really eager to; I usually just use the default WordPress interface to write blog posts. Well, with the Chromebook you do have the Chrome app, right? Wordpad? Why not use something like Scrivener (https://www.literatureandlatte.com/scrivener.php) ? Or yWriter (which is free Although I admit Scrivener would be a better solution in this case. It has a paste as HTML option and you can organize your posts quite easily. I know of quite a few bloggers that use Scrivener. I would prefer a simple tool (I used to use Notepad). Scrivener is feature-rich and complicated, and I don’t want to have to learn its intricacies (and have to copy-paste the post, to boot). Well it is not complicated for simple writing (click the + to make a file and start writing). And you would still need to copy-paste regardless even with wordpad. What I was referring to was the copy-as-html option (under edit menu) that allows pasting the text as you see it. Often when you paste into a online editor it will not be the same, requiring edits, hence taking longer. At least this has been my experience. I started using Scrivener as I like to compose offline, but with a simple tool it ended up taking more time due to the required reformatting. But to each their own, every writer has to use the method that works for them.